Forms gather important data for your business. An Order Form lets you grow a customer base, see your purchase funnel, conversion rates, and much more. For example, if you have info about customers with unsuccessful payments, you'll be able to email back on why they've given up on purchasing your product resulting in invaluable feedback. Which Order Form Type Should I Use? It depends on your business and goals. If you know what each order type does, you'll easily be able to do the rest. There are 6 types of order forms you can create with JotForm which will most definitely cover any of your needs. Here's a short list to get a better idea on order form types. Don't forget to check out the details of each down below. If you have an e-book, a downloadable program, or a unique item and want to sell it online, using this payment type is perfect for you. On your form, the user is not asked to choose an item directly from your form. Instead, they'll be able to purchase your product after they fill out your form. Check out this form template and even clone it to your own account to get a quick start on setting up your one product with single choice order form. 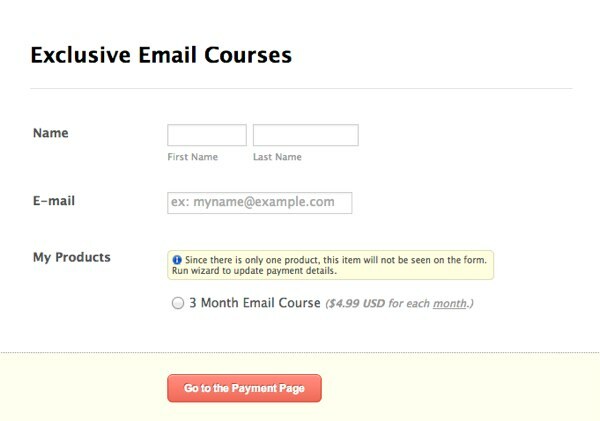 If you'd like the user to choose the product on your form, a workaround would be to add a new $0 product to your form. 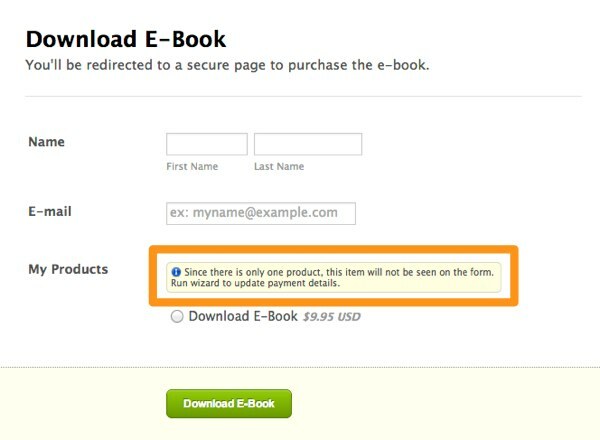 This way, your users can choose if they would like the product or not without having to complete your form. This is relatively the same as #1 above but gives more flexibility to the customer. Additionally, your customers will see their product choices on your form and select one product on the spot. Check out this form template and even clone it to your own account to get a quick start on setting up your one product with multiple choices order form. You've got lots of products in your hand. Maybe you own a beauty shop, bakery, or winery. Showcase any of your products with this payment type for bulk purchases. Check out this form template and even clone it to your own account to get a quick start on setting up your multiple product with multiple choices, e-commerce, like order form. Do you offer a service and want recurring payments for it? Think about professional online courses. You'll pay for a period until the course ends and you're done. Using this type of order form is usually preferred by professional services. Check out this form template and even clone it to your own account to get a quick start on setting up your single choice recurring subscription type order form. Got multiple choices for your subscription options? 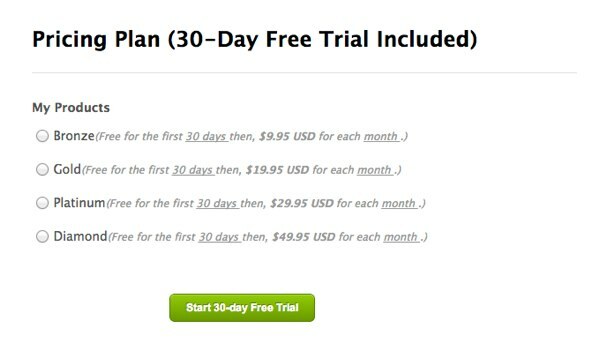 We've prepared a pricing plan similar to ours with just a payment form and it looks really good including 30-day free trial option. This order type is perfect for SaaS (Software as a Service) businesses. Check out this form template and even clone it to your own account to get a quick start on setting up your multiple choice recurring subscription type order form. Asking donations is a simple way to collect payments for your cause. Set up a minimum fee, put a fixed price, or leave it upon your visitor's discretion. Check out this form template and even clone it to your own account to get a quick start on setting up your donation form. 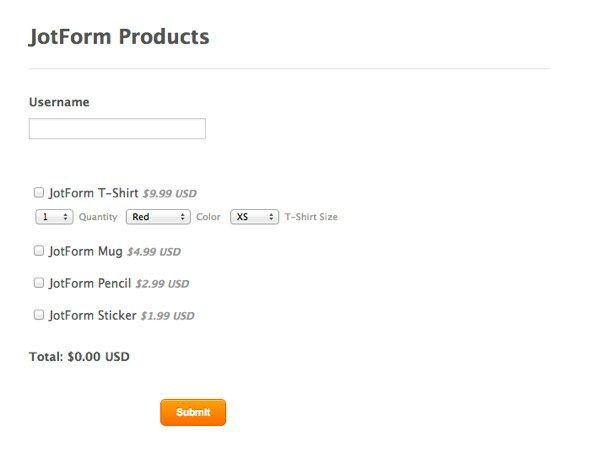 Now that you know more about order form types, it's time to create your first order form. Got questions? Please let us know below! How can I search forms that use Square only? Better thing as I have seen the comments it can be interesting. And I don't know who it works the programme? What is this? I need information about my refund only. So I did all this for my form, but I can't seem to input any credit card data when testing, am I missing anything? I seem to only be able to put card info during preview, but when I input the HTLM code to my website, it doesn't let me input any card data, only first and last name. I need a private accessories, how do i run it? I want to be a brand assessor/private shopper. How do I get signed up for that job? Could you text the link to the JotForm to a client and they would be able to place an order straight from their phone? please,i have no idea of how this works,i don't even know how to create forms,please can someone briefly explain to me so i'll join you guys ? I wonder if I use Stripe ACH for this kind of forms? I use an online quickbooks subscription and will probably use Intuit as my credit card processor. I used JotForm as a registration for our annual meeting last year and really liked it! Is is possible to use Intuit as a payment option when I set up this year's registration? does it do different currencies? Can you explain how the pricing works please. I am currently on the free plan but if I upgraded to the bronze plan does it mean I can accept 10 payments a month? What happens if someone tries to pay and I have exceeded my allowance? What format would you recommend for a 2 day convention registration form? Would like to include choices, both days, first day only, second day only and some other options. I would love to see an invoice type for my travel business where I could put the hotel, airfare, etc and a line where they can accept or reject travel insurance and a line where they can authorize use of the credit card for the transaction. The image thumbnail size is much too small. Is there any way to increase the image size? Another better option would be to put a larger image above the line item. That way the customer could actually see what they are buying. Also, there is no way to add a description of the item. There should be a way to add an additional line below the actual item. How can that be done? I run a small at home cookie business, and I would like to use my form to collect deposits. Is there any way to set it up to where it can calculate 50% of whatever they want to spend? I operate under the Texas Food Cottage Law, so I have to receive the remaining balance by hand from my clients. Deposits online are ok. I embedded my form with payments to my Square account onto my website, and I get a message that I must have an https:// system. The message then says to check with "form administrator." Is that Jotform. Or is it Square? Or is it my website host? Thank you. If I can resolve this, I will be developing numerous Jotforms and implementing them far and wide! I sell candles twice a month. I normally sell about 40 each time. What would be the best form because I got confused about the number of times they can submit. I would have to do the paid form? how can delete the payment option and just have a bank account number to pay into. can the form accept payments to our already established Paypal account? can our present form be revised to accept payments without changing our present link to jotform? Is therea fee to jotform for this and if so how much. i would like a fill in amount for table fees for our non=profit fund raiser bazaar. We love our jotform and most pay via Paypal having this addes to our form would be great. Hi, in the Mastering payment form integration you offer Calculated amount based on user selections and inputs. No matter which gateway I choose, none offers this or does not work in Czech republic. I would need it for my service selling website in Czech republic. Which gateway provider should I choose to work in Czech republic and to give me this option? PayPal does not work this way, nor the others. I believe this should not be any hard issue, but literally I am lost in it for about 5 days now and can not find any appropriate answer. Thank you very much for your help. Is there a way to do this? I would like to achieve this in an input table if at all possible but still want to be able to show the consumer their total of their order. Or would it be possible to give the customer an order total outside of the payment settings and just in the input table? This would act as an initial quote instead of actually processing their payment. Thank you in advance for the help. A.
I would like to use the recurring classes form. Do I use payment authorization so that the card can be processed multiple times at different dates? Ill just join this site don't know yet if is good. Tried the payment option, very good. But I need local bank or debit payment. All international payment gateways only. I sell service and not products. I need to set up a payment form that asks for an invoice # and lets the client fill in the dollar amount. Is there a mechanism to allow the client to fill in the amount they are sending? Send me how to do it an if their is a price. How to email customer based on the birthdate details given in the Order Forms? Can I send part of my form as a pdf to one place and another part of my form as a pdf to my Dropbox? Why are the confirmation emails different from the original emails?